As an author I have written numerous books and training guides, the subjects of which span everything from World War II history and Journalism to Self-help and Art. F.F. Bosworth: The Man Behind ‘Christ the Healer,’ (Cambridge Scholars Publishing, 2009). Available here. Public Relations Made Easy (Entrepreneur Press, 2007). Available here. Direct Response Advertising Made Easy (Entrepreneur Press, 2006). Available here. The Better Letter: Essential Tips for Effective Fundraising Copy (Target Marketing Inc., 2006). See here. Mighty Through God: Biography of Dr. G.D. Voorhis, editor/ghostwriter (Dr. G.D. Voorhis Educational Program Inc., 2006). Available here. 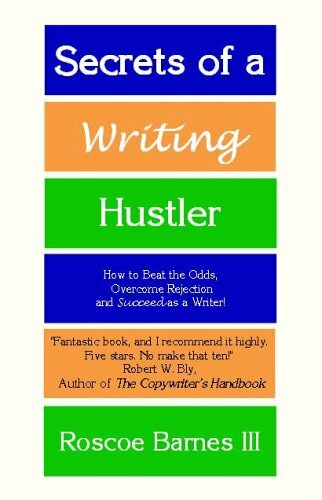 Secrets of a Writing Hustler: How to Beat the Odds --Overcome Rejection -- and Succeed as a Writer. Endorsed by Robert W. Bly (Filbert Publishing, 2005). See here. The Guide to Effective Gospel Tract Ministry (Church Growth Institute, 2004). Available here. Bicentennial: Our People, Our Heritage (contributor, The Record Herald, 1997). Off to War: Franklin Countians in World War II (White Mane Publishing, 1996). See here. Discover Your Talent and Find Fulfillment (McKinley & Henson, 1992). Big Bucks from Little Sketches (McKinley & Henson, 1993; used by International Correspondence School). Scooping the Competition: How to Be FIRST in Reporting HOT Stories (Roscoe Barnes/National Newspaper Association, 1998). Transform Lives and Inspire Faith through Modern-Day Tract Ministry. Great men of God from Martin Luther and John Wesley to Billy Graham and beyond have used the printed word to change lives and bless thousands of people from generation to generation. You too can use the printed page to expand your ministry. Use tracts to: Bring people to Christ • Clarify church doctrine • Comfort the bereaved • Develop discipleship/mentoring programs • Reinforce sermons • Effect social change • Combat false teaching • Promote your church • Inspire a high school graduate • Raise funds • And more! ​From Writing to Publishing to Distributing Tracts And Touching Lives. Available here. Extend the Life of Your Sermons With Tracts. Available here. Can You See This Picture? (Pilgrim Tract Society). The Scar (Pilgrim Tract Society). Do You Suppose? (Herald Press and Christian Light Publications). Do You Read Me? (Herald Press). Nothing But The Blood (Grace & Truth Inc.). Do You Flirt with Danger? (Evangelical Tract Distributor). Are You High Enough? (The Tract League). No Time to Scream (Herald Press, Christian Light Publications, Gospel Tract Society). Call the Foreman (Herald Press). Will God Forgive Me? (Roscoe Barnes III). Steps to Reaching God (Roscoe Barnes III). How are YOUR Boots? (Roscoe Barnes III).